Why Is Writing Capstone Project Paper so Important? Many degree and other courses have gone from writing a thesis or dissertation to writing a capstone paper. While very similar in structure and the demands that will be placed on you it will require you to demonstrate your learning through solving real world problems. But as with your thesis it will need to be passed if you are to get your degree awarded. So knowing how to write a capstone project is becoming very important. 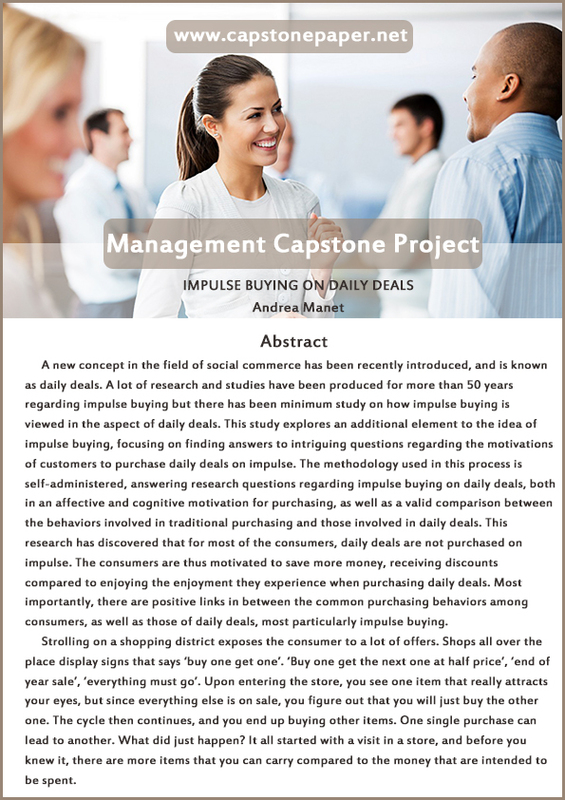 Capstone projects are commonly required in subjects such as nursing, business and IT where you will be able to define projects of value that will allow you to demonstrate your skills. But completing your research and getting your project written up to the required standard is not going to be easy in any way. Our specialized site provides you with a full range of support with your capstone writing. We show you everything you need to know to make your project a success. We offer you advice as to how to find your topic areas and what makes for good topics. We even provide you with long lists of topics in some of the more common areas that you may need to write within. We also show you exactly how to create a capstone paper outline and how to write it perfectly. Title Page: this will usually contain your project title, the name and number of your course, and your supervisor’s name. This needs to be laid out and formatted as per the instructions for your course. Abstract: this is a full summary of your paper of around 150 to 250 words in length. Is should cover all aspects of your paper from start to finish and contain enough detail for any other researcher to get a good idea of what you capstone is about. Table of Contents: this as the name suggests is a list of what your paper contains with the relevant page numbers. Introduction: this section should introduce your topic area and why your problem needs to be solved. It also should contain a statement of the problem that you are looking to solve through your research. Problem description: this needs to be a more detailed description of the problem that you will seek to resolve. You should spell out how your project will seek to address the issues and what the overall goals and scope of the project are. Literature review: this is required to provide some clear background to the project and should contain relevant references to other works in this area. References should be up to date and from reliable sources. Typically you will provide a broad background to the research and focus in your specific problem. Methods used: this part of your paper will cover what you have actually undertaken for your research. It should contain enough information about how you conducted your research for others to be able to replicate it should they want to. Conclusions: This section will contain a discussion on what you have discovered from your research and summarize the main findings. It will then show why your outcomes matter, what has been learned and what steps should be taken next. References: there should be a full list of all of the citations that you have made within your paper using the relevant academic format for your paper. Appendices: this will contain any information that is useful for the reader such as questionnaires and tables of data that are not included within the text of your paper. The following is a step by step guide for writing a capstone paper. We will show you all of the steps that you should go through to ensure that you will get the results that you will need from your paper. Feasible: you must be able to conduct it within the time and resources you have. Important to your field: is it a real world problem that needs to be solved? Unique: has anyone already found a solution to your problem? Well defined: is there a clear problem and goal to be achieved? Get a clear understanding from your supervisor: as to the correct format to use and the structure of your paper. Ensure that you fully understand precisely what is expected of you. Plan your project from start to finish: a comprehensive plan with milestones will help you to ensure that you move your project forward constantly. Create an outline for your paper: map out exactly what each section of your paper should contain. This will prevent excessive rewriting and help you to identify any issues at an early stage in your writing. Get your references from reliable sources: do not rely only on the use of the internet. Use your library to look at literary works and journals. If you do use the internet use a scholarly search engine. Have a routine for your writing: sit down in the same place at the same time each and every day and have a clear target for how much reading and writing you will achieve. This help you to make progress every day. Consult with your supervisor on a regular basis: they are there to help you and will ensure that you stay on track with what is required of you. Write using the correct academic style for your paper. Leave your work until the last minute: plan it carefully and make progress daily. Keep a firm track on the decisions and changes that you make during your project. Don’t forget that if you fail your project you will fail your degree. Write in a clear academic style without going over the top. Don’t use clichés or other tired phrases within your writing. Write from scratch using your own original ideas. Never copy or plagiarize anything within your writing. Get your references correct: many students will get the structure of their references incorrect, they need to be precisely as required for the academic format being used such as APA or MLA. Our free annotated bibliography generator is a quick and easy way of getting your structure perfect. Make your titles attention-grabbing: a good title can go a long way to improving your paper. Our capstone project title generator can help you to create titles stand out. Get your grammar right: submitting writing that contains any errors can cause your paper to be returned or even rejected. Use our capstone title grammar checker to review the content of your paper so that it is perfect. What Types of Capstones Can We Provide You with Support For? 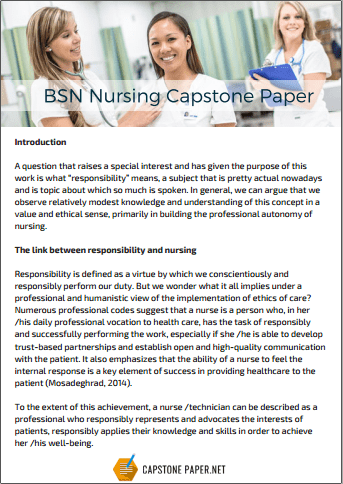 Nursing capstone project ideas: We can show you everything that you need to know about selecting interesting and fully feasible capstones for nursing. Our advice will show you just how to generate your own ideas for research. We also provide a comprehensive list of topic ideas for nursing research that can help you with your selection. Senior capstone project ideas: If you are in your senior year and need to decide on your capstone topics then this is the page to turn to. We provide you with professional advice and a full list of example projects that could be perfect for your paper. IT capstone project ideas: learn all that you will ever need to know about how to select the topics for your IT projects. We provide a full range of advice to show how your project should look as well as a lengthy list of topics to trigger your ideas. 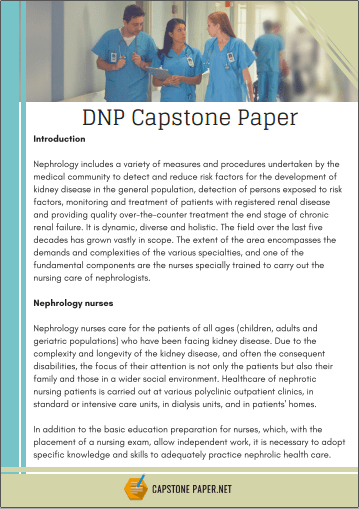 DNP capstone project ideas: with a long list of topics to choose from we are sure that we can get your creative juices flowing to help you select the right project for you. Learn just what makes a good project and what you should be looking for in your selection. Business capstone project ideas: get to know what is going to work for your projects so that you will have the correct topic for your proposal. With a full range of effective advice and a huge list of possible projects you cannot go wrong with visiting our section for business capstones. 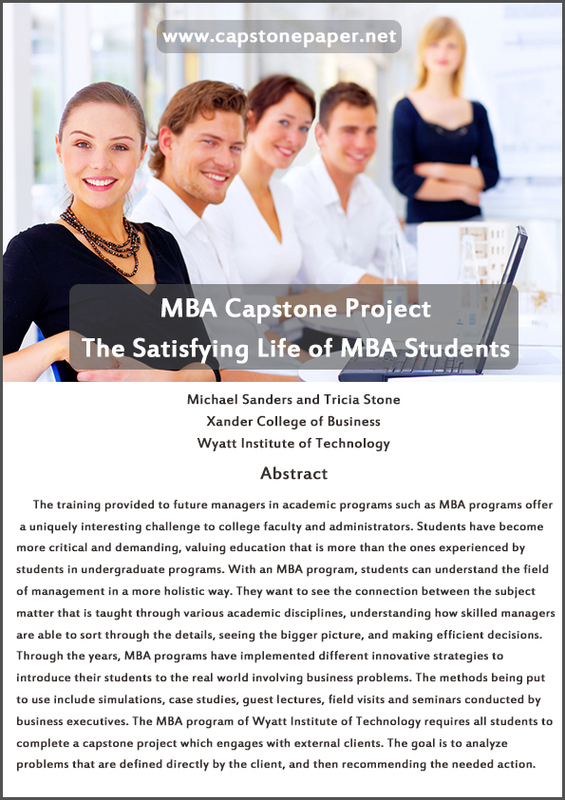 MBA capstone project ideas: getting through an MBA can be tough which is why we provide you with a massive list of possible projects that you can choose from. Along with our advice and examples you are bound to find the perfect topic for you. Nursing capstone project ideas BSN: if you want your BSN then you will have to complete that capstone perfectly. We give you the edge that you need by providing you with all that you need ot know about selecting effective topic ideas and a list of many project ideas to trigger your thought process. Aviation capstone project ideas: we help you to get off the ground with your projects with a full list of potential topics for your research. If they don’t get you attention then we show you precisely what you need to look for in a good project and how you can brainstorm ideas that will be right for you. No matter what subject area you need to write a capstone within we can offer you support to help you with selecting the best capstone projects. We can provide full lists of topics and all of the advice that you need to find that elusive subject for your capstone. From writing and editing advice to the free tools and techniques there is a huge amount of help to be found through the pages of our site when learning how to write a capstone proposal or your capstone paper outline. Bookmark our site and come visit on a regular basis to learn how to write a capstone project in your subject area that will get you the perfect result every time!